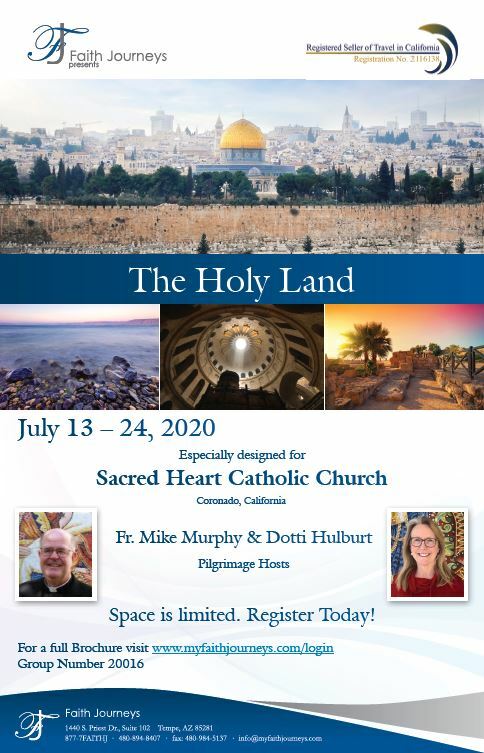 We are so excited to be able to offer another Pilgrimage to the Holy Land for our parish set for July 13-24, 2020. The brochure includes the full itinerary (with a few bonus additions not listed here but sure to further enhance our experience). It is currently being printed, and hard copies will soon be available in the Ministry Center and back of the Church. The last two pages are the application form to enroll. Simply print those pages, fill them out, and mail it in with your deposit to Faith Journeys at the supplied address to secure your spot. You can also visit www.myfaithjourneys.com/login and enter our group # 20016 to access this and other information. There is a lot of interest in this pilgrimage, and so we encourage you to register as soon as possible. 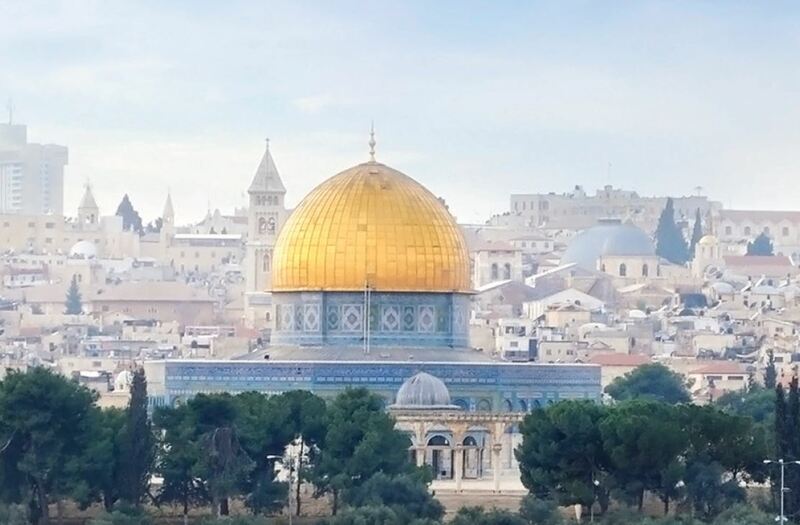 This pilgrimage has been custom designed to truly be a journey of faith and will enrich your own relationship with the Lord in countless ways.